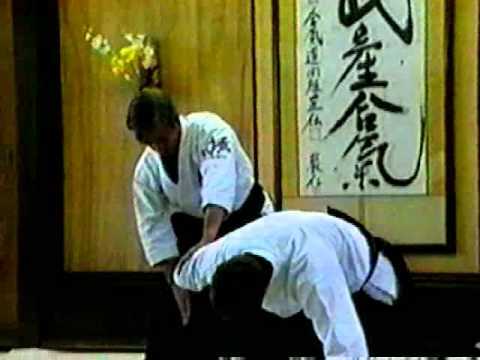 Info about "Shiho nage video"
Shihonage (or Shio nage) is an Aikido four-corner throw. It’s a technique where defender passes under attacker’s arm, then lifts it overhead, pivots 180 degrees and throws. This throw originally included a pin with the arm barred in the shihonage position to complete the technique. It is commonly executed in Aikikai-Hombu-style aikido with the arm released after application of the shihonage pressure without a pin.